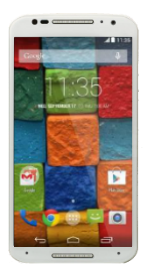 The Moto X Style Pure Edition is the newest smartphone released by Motorola. Running on Android 5.1 Lollipop OS out of the box, there is much to love about the specs of this device. First of all, the device comes with a large 5.7-inch display alongside a 1440x2560 pixel resolution. Equipped with 4G LTE connectivity, users get to make the most out of the network they are part of. The phone runs on a powerful 1.8GHz hexa-core Qualcomm Snapdragon 808 processor with 3GB of RAM and the Adreno 418 GPU. It has an internal storage of 32GB with a microSD card slot that expands the memory by up to 128GB. To take pictures from the phone, there is an option to shoot through the 21MP rear-facing camera or the 5MP front-facing sensor. The phone is capable of recording 1080p HD videos through its back camera. Thanks to a non-removable Li-Ion 3000mAh battery, the device gets to last through a full day of use. It also comes with turbo charger, giving the phone up to 10 hours of battery life on a single 15-minute charge. Moto X Style First Impressions! 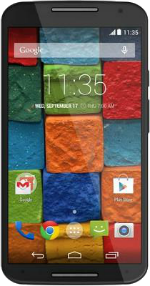 The new Moto X Style / Pure Edition or Moto X (2015) is Motorola's latest flagship following up the Moto X (2014). The new Moto X Pure Edition / Moto X Style is finally here! Comparing the speed of the OnePlus 2, Moto X Pure Edition / Style, and BLU Pure XL in terms of benchmarks and real world performance. The Moto X Pure Edition review is here. Or is it the Moto X Style review? The Moto X Pure Edition has received Android 6.0 Marshmallow! What's in my Bag CES 2016! Are you ready for CES 2016?